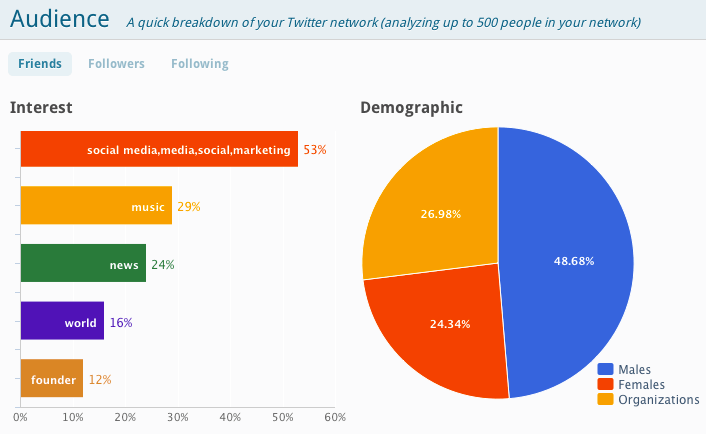 mirror.me is the latest web app to mash up a user’s Twitter data and spit it back in beautiful tag clouds, graphs, and pie charts. My profile is both a flattering and — I’d say — accurate representation of my various foci and communities based on a sampling of my Twitter friends, followers and the content of my tweets. Mirror.me is a Champaign, IL-based start up and may be the best looking twitter tag cloud mashup since tweetcloud itself. What do you think? Please click here to visit my razoo.com fundraising page or use the widget at right. Online fundraising platform Razoo launched a new DonateAnywhere widget this month and I’m excited to be selected to the #ZooGooder team of a dozen or so chosen to lead a series of discussions on fundraising in the digital age of social media. Join us for our first weekly Twitter chat at 6 p.m. PT / 9p.m. ET and. John Haydon will be co-hosting the first one. To participate, use your favorite Twitter client or service and follow the #zooGood hashtag. In addition to these weekly chats, I chose to raise funds for One Economy Corporation with a goal of raising $8,000 by the end of the year. Not an easy choice given the breadth of my endeavors and pet projects and the 1.5 million or so fundraising causes listed on razoo.com. But after much internal deliberation and debate (and cross-research on sites like Charity Navigator) I decided that One Economy will have the most effective global reach with the money I raise as part of the #zooGood campaign. One Economy brings broadband into low-income households and builds and maintains virtual and physical community centers to provide underserved communities the training and tools needed to leverage the internet for information and local resources on education, jobs, health care and other vital issues. This is a cause that I have long been passionate about and I am thrilled to have the opportunity to focus on it more publicly in the coming months. One Economy Corp is a top (4-star) rated charitable organization according to Charity Navigator and it has been expanding its geographic focus areas over its 10-years to cover the Middle East, Africa, and North America. More recently, One Economy launched PIC.tv, the Public Internet Channel website, which has boundless potential that I find very exciting as a long-time web producer and content creator myself. So let’s see if we can hit $8,000 in two months, while helping to bolster One Economy Corp’s profile as a leading charitable protagonist for leveling the playing field, proliferating the spread of broadband and computer ed into underserved communities, and creating opportunities and local resources in cities and villages worldwide. I’m dropping my first $10 in the bucket and you can too — the widget is on the right side of this blog. Your support is greatly appreciated – if you’d rather not donate money, thanks for reading this far and for your generous re-Tweet and/or Facebook share! You can also fan One Economy on Facebook and check out the Digital Connectors page (some of whom met recently with FCC chairman Julius Genachowski in SF). Thanks and see you on the #zooGood hashtag! It’s mid-2010 and the social web is finally getting comfortable with the opening and exploitation of the “social graph.” It likely helped that Facebook took a bit of backlash over the past few months to pave the way for the rest. And now, like any good social network should, Twitter is beginning to show the cards that we (the users) dealt it. Twitter’s “Who to Follow” personalized suggestions can now be seen in the right-hand sidebar of the Twitter.com user web app and under this tab. This is familiar territory to anyone who uses Facebook or even Amazon. Twitter knows who you follow and who follows you back as well as who many in your circle follow that you do not yet follow. Hence the social graph. It’s a wild and crazy algorithm, but if you think about it in physical terms, we all have friends that we want to introduce specifically to other friends. And it should be assumed that by using Twitter, you hope to communicate with and discover new peers, business partners, etc.